A team of scientists led by stem cell pioneer Professor Robert Lanza has reported today in the Lancet (1) the first evidence for the long-term safety of retinal pigment epithelial (RPE) cells derived from human embryonic stem cells (hESCs) in patients who took part in a trial undertaken in four centres in the US. substantial improvements in vision were also recorded in almost half the treated patients, compared to no improvement in untreated patients. This is the first time that clinical benefits have been demonstrated in the medium to long term in patients with any disese treated with hESC-derived cells, and is a major milestone in the development of the field of regenerative medicine. It’s an achievement that is due to many years of animal research. The trial focused on 18 patients with two different types of macular degeneration, Stargardt’s macular dystrophy and nine with dry atrophic age-related macular degeneration, that are common causes of blindness in adults and children and for which no effective treatments are currently available. Professor Steven Shwartz, who led the team at the Jules Stein Eye Institute that took part in this trial, noted how important this result is to both the patients in this trial and the field of hESC-derived stem cell medicine. You can listen to interviews with Steven Schwartz and several of the participants in this clinical trial in an NPR broadcast here. This work – and earlier studies of RPE cells derived from ESCs – built on decades of basic stem cell research, starting with the pioneering work of Gail Martin, Matthew Kaufman and Martin Evans in mice, and the subsequent derivation of ESCs in macaques and then humans by James Thompson and colleagues at the university of Wisconsin- Madison. 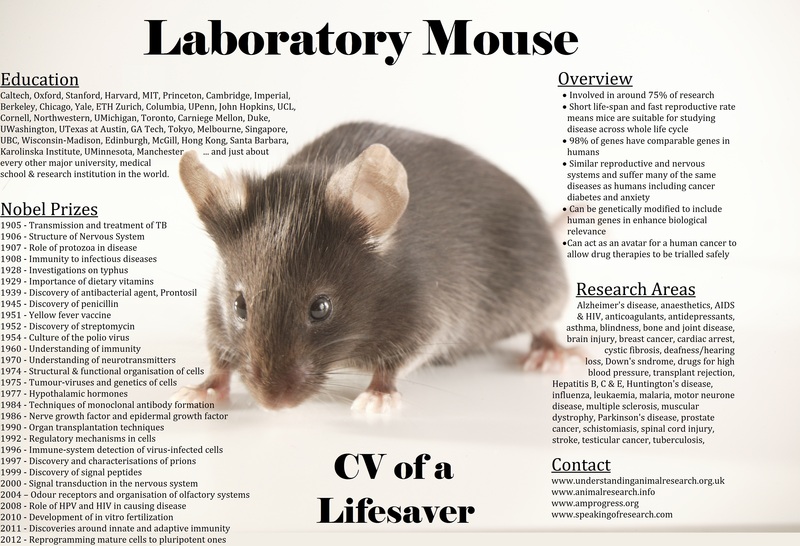 The humble mouse has played a key role in the development of stem cell medicine. Today’s announcement is a major milestone in regenerative medicine, and one that id justifiably being celebrated, but we should also remember the many years of careful research that has led up to this moment. As with many medical advances much of the early research on embryonic stem cells was undertaken without any immediate clinical application in mind, but it nevertheless created the knowledge that is now driving an important emerging field of medicine. This is a lesson we need to remember when we donate to charities, when we discuss the importance of research with others, and most of all when we go to the ballot box! 1) Schwartz SD et al. “Human embryonic stem cell-derived retinal pigment epithelium in patients with age-related macular degeneration and Stargardt’s macular dystrophy: follow-up of two open-label phase 1/2 studies” Lancet published onlin3 15 October 2014. Link. Stem Cells. 2009 Sep;27(9):2126-35. doi: 10.1002/stem.149. Posted on October 15, 2014 October 15, 2014 by EditorPosted in News, Science NewsTagged age related macular degeneration, animal research, blindness, Embryonic stem cell, mouse, Robert Lanza, Stargardt's disease, vision.